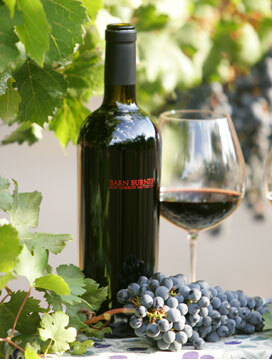 Tom Scott Vineyard we produce a single vineyard field blend Cabernet Sauvignon. We feel that our small production allows us to maintain the highest levels of care and integrity in all aspects of the winemaking, from soil to bottle. We work to produce high quality grapes and wine using environmentally friendly and socially responsible practices. We strive to maintain a healthy and beautiful environment for our neighbors, our wine country visitors and ourselves. Our wine reflects the soil and climate from which it emanates. Tom Scott Vineyard is located in the heart of the Napa Valley in the Yountville District, bordered on the south by Stags Leap District. Lush rolling foothills and breathtaking vineyard viewscapes surround the vineyard. We invite you to learn more about who we are, what we do, and the wine that we produce. And if you'd like to purchase our wines, you may do so here at our wine shop. We are committed to producing the finest fruit and healthiest vines possible. Our vineyard surrounds our home and it is a daily part of our lives. We invite you to take a walk with us through a year in the vineyard. Copyright © 2015, Tom Scott Vineyard, all rights reserved.